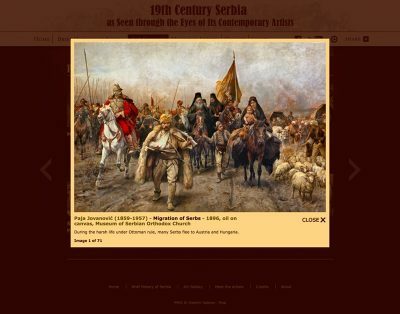 “19th Century Serbia as Seen through the Eyes of Its Contemporary Artist” was created with the intention to bring American public closer to Serbian culture and history. The project is significant by the fact that nobody before has used art to tell the story about life, politics and culture of a nation. The magnitude of the project demonstrates my ability to integrate different media successfully. 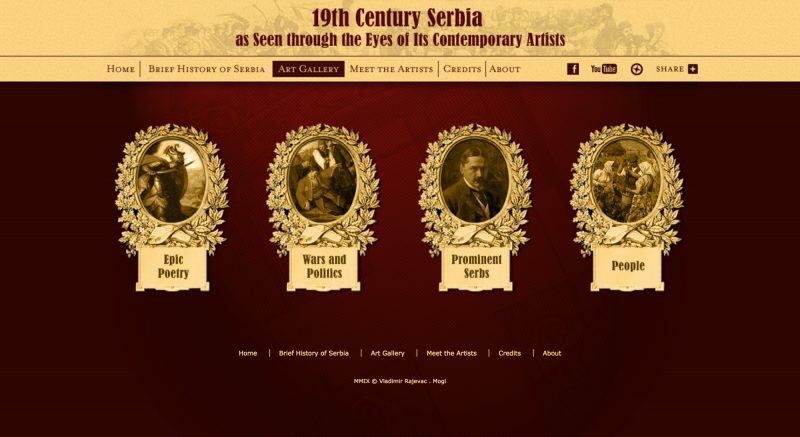 The project required significant research on Serbian art, interface design, and usability, copywriting, video production, web design, and development. Arts turn out to be an excellent vehicle to tell 100 years story that is very easy to digest and understand. But more importantly, highly visual storytelling is more engaging than predominantly textual content. 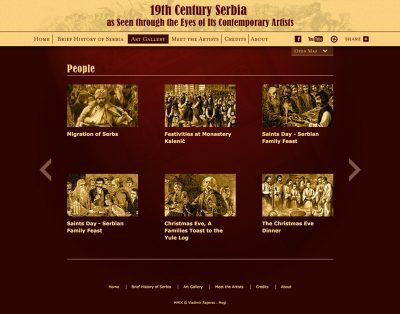 The newspapers’ design of the time was used as an inspiration for the website’s feel and look. Some design elements were borrowed from the 19th-century engravings.